Download "EFTEC Engineering GmbH General Terms and Conditions of Sale"
7 In case that particular provisions of the agreement or of these General Terms and Conditions of Sale should be invalid then the validity of the remaining agreement provisions shall remain. The lack of provision arising from the invalidity of any provision shall be filled according to good faith rules. 5. Conferment of rights and duties resulting from the contract to third parties by the Orderer need prior written affirmation by the Contractor. I. Scope General Terms and Conditions of Sales Effective: April 2007 Our General Terms and Conditions of Sale apply to all - including future - legal relationships between the parties to the Contract. 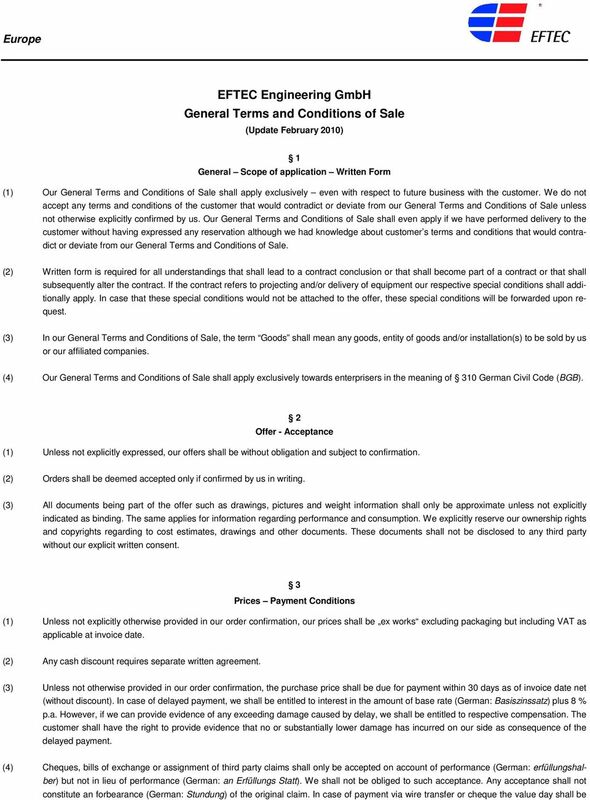 1 General Terms and Conditions of Sale Effective: August 2007 I. Scope Our General Terms and Conditions of Sale apply to all - including future - legal relationships between the parties to the Contract. These General Terms shall be supplemented by Special Conditions as prepared for each individual Group Division. Only undisputed or non-appealable claims entitle the purchaser to set-off payments. 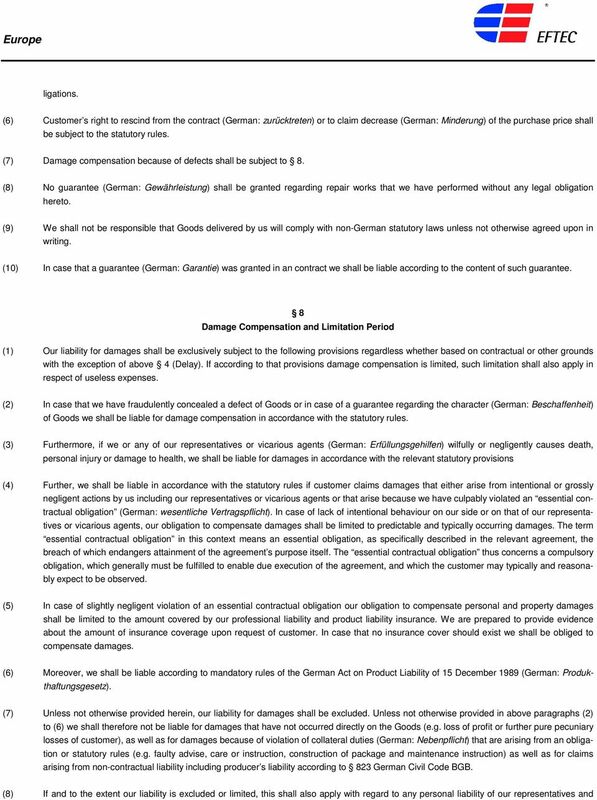 General Terms and Conditions of Purchase of G. BEE GmbH. 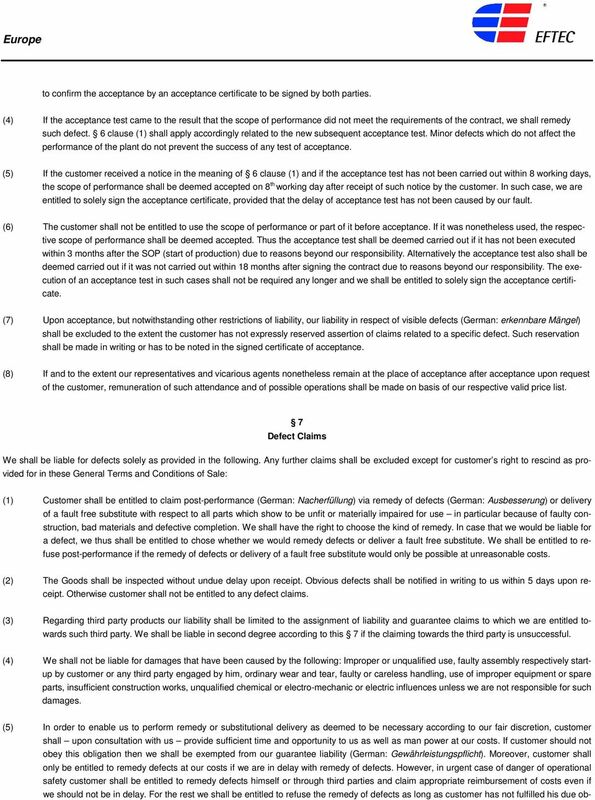 (1) The following terms and conditions will apply to our orders and contracts. 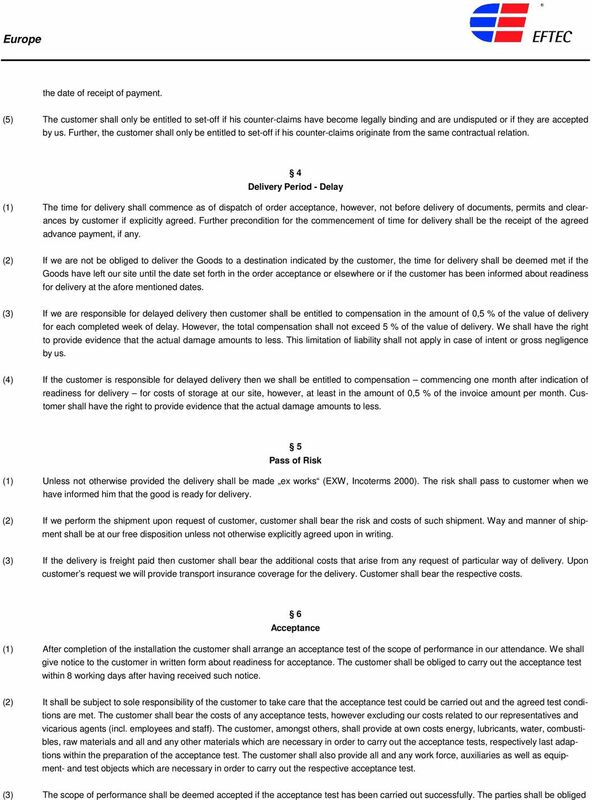 The following provisions are to be understood as General Regulations applying both to our Purchasing T&Cs and our Sales T&Cs. 1. 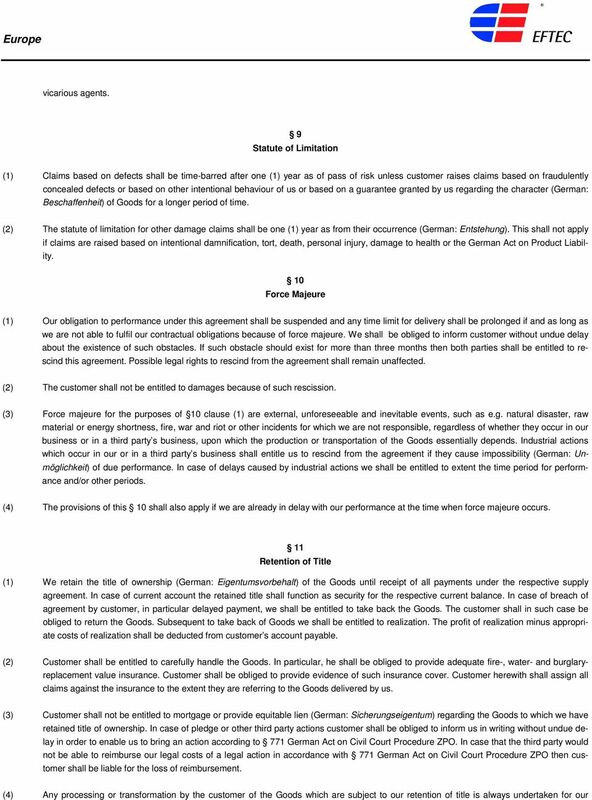 Scope of Agreement 1.1 TMG will sell to the Customer the Products defined in an individual agreement between TMG and the Customer. 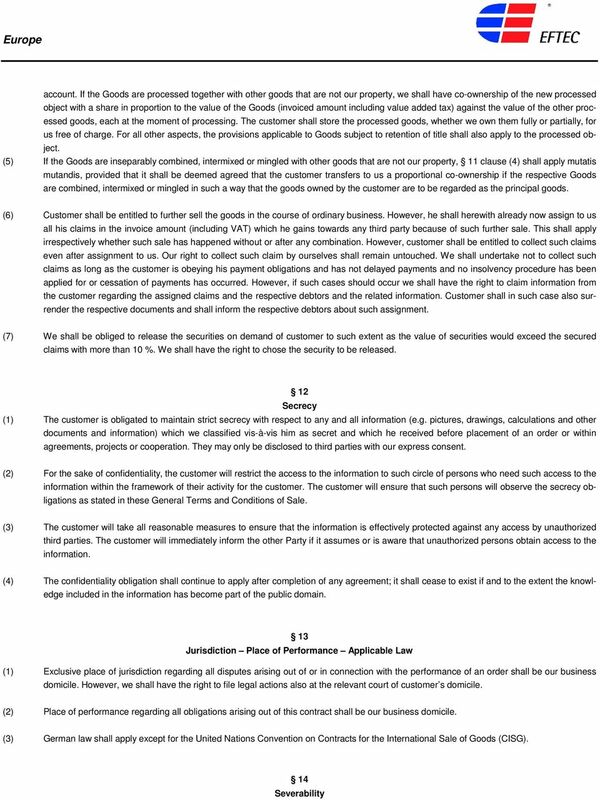 (a) Agreement means this End User Agreement for mobile applications.